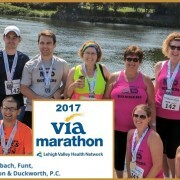 MFDD Runs Via Marathon Relay - Mosebach, Funt, Dayton & Duckworth, P.C. 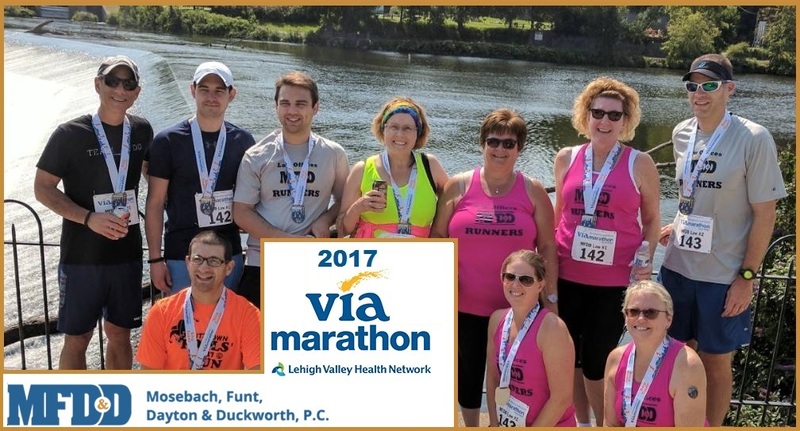 Once again, MFDD proudly supported the Lehigh Valley Health Network Via Marathon and entered two relay teams into the September 10th race. We didn’t set any records (once again) but the weather was perfect and the day filled with fun. Our runners were (back, l-r) Tim, Timmy, Andrew, Teri, Donna, Mel, Frank; (front l-r) Chuck, Kristie, Mel.